Pulp is a refreshingly juicy and effervescent fruit fragrance from Byredo. Pulp is tart and cheerful; quite a fruity masterpiece. Byredo Seven Veils is a spicy oriental composition built around the warmth of vanilla flower and Indian sandalwood. It is based on the biblical tale of Salome’s dance of the Seven Veils, a story of many layers. Tainted and bejeweled, Salome turns to the art of shameless seduction. Barefooted, sanguine and black eyed, she demands a man’s head on a plate in exchange for one single dance. Seven Veils is an eau de parfum with good longevity and sillage. The sillage isn't potent but diffuse, veil-like and long lasting. Cabochard was created by Bernard Chant and launched in 1959. Cabochard is a complex, dark, animalic leathery chypre. It has fantastic lasting power and given it's dark leathery nature is rather smooth and supple overall. Notes: bergamot, mandarin, aldehydes, galbanum, ylang ylang, jasmine, rose, clove buds, oakmoss, tobacco, musk, iris, sandalwood, vetiver, leather, castoreum, patchouli and labdanum. Cabotine is a zingy fresh green floral with many admirers. Cabotine is so lovely and easy to wear its hard to imagine anyone disliking it. Perfect for day or night, with nice sillage and excellent longevity, its an all-around great fragrance. Listed in Perfumes: The Guide as one of the best fragrances of all time, Loulou is a fragrance from the house of Cacharel made by Lancome. It was launched in 1987. Loulou is a heady, powerful and warm scent that would never be described as subtle. Even the smallest squirt of Loulou will be discernible for many hours.Loulou is an unmistakable mix of flowers and sweet spices. Courmarin is apparently the prime ingredient of this fragrance. Loulou is a vanilla rich scent combined with jasmine, mimosa, iris, and orange blossom. It makes a warm, floral, spicy, oriental statement. In the spring of 1985, Obsession set the world on fire with its powerful sensuality. 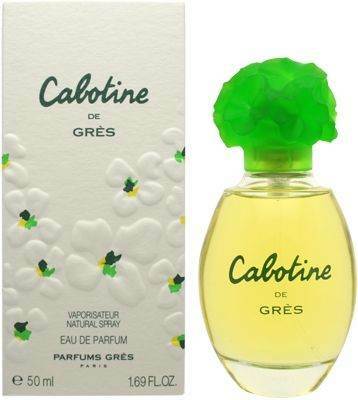 It revolutionized the prestige fragrance business with its feverish intensity and irresistible appeal. Scent Category:Oriental / Amber.A scent that is haunting, lasting, and intensely feminine. Launched by the design house of Calvin Klein in 1986, Obsession for Men has notes of mandarin and spice, with low tones of musk, sandalwood and amber. It is an eau de toilette, edt. Obsession for Men is a wonderful ambery oriental. Many women sneak this one from the guys. Calvin Klein Truth is an interesting perfume built on the contrast between cool, fresh, grassy notes and the warmth of skin and soft woods. Truth was released in 2000 and created by Alberto Morillas, Jacques Cavallier and Thierry Wasser. Official notes list includes: bamboo, wet woods, white peony, vanilla, white amber and sandalwood. Canturi is a luxurious old school oriental developed by perfumer Kevin Verspoor for the jewelry house of Canturi. It has notes of bergamot, mandarin leaves, neroli, rose damascene, night-blooming jasmine, iris, lily of the valley, white pepper, cardamom, patchouli, red cedar, oakmoss, amber, musk and vanilla. 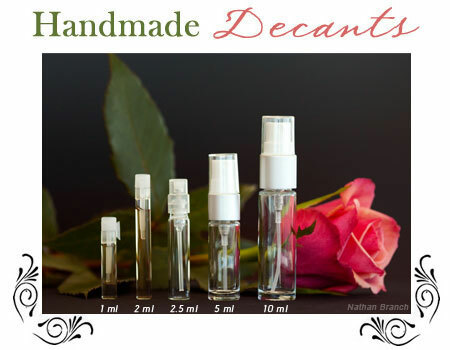 Canturi is a warm and delicious scent. This is an eau de parfum / edp. Aimez Moi was created by Dominique Ropion in 1996. Aimez Moi is one of the most beautiful violet fragrances. It starts off spicy and sweet but dries down to a lovely violet floral with hints of vanilla, musk and amber. Notes: anise, freesia, violet leaf, bergamot, mint, caraway, magnolia, cardamom, jasmine, peach, iris, heliotrope, tonka bean, amber, musk and cloves. Félicie Wanpouille wanted to immortalize, in a perfume, the charm of Bellagio, a little Italian town on the shores of Lake Como. Launched in 1927, the warm and lively Bellodgia fragrance evokes fields of carnations smothered in sunlight, peppered here and there with roses, jasmine, violet and lily of the valley. Bellodgia, a flash of light stolen from the Italian sun, is a particular favorite of American customers. Eau de Reglisse is icy sweetness, and then it’s woody and spicy. It’s an unusual and captivating blend of licorice and anise with hints of spices and citrus/green notes. Even though created in 1947, Farnesiana still remains without many parallels on the market. For while the mimosa may be highly prized among florists for the fresh and happy touches it brings to the most simple bouquet, only few noses have risked making it into a perfume. To recreate its duvet-like qualities, Michel Morsetti, who took over and drew from the notes of Ernest Daltroff after his death in 1941, made use of an astonishingly modern smell: sweet acacia, a lesser-known variety of mimosa. Knowledgeably combined with the latter, it brings an almost gustatory sweetness to the fragrance. Sweet acacia or “Acaciosa Fanesiana," to give it its Latin name, also inspired the name of this perfume by evoking Rome’s FarnesePalace and the art of sweet, refined, Mediterranean living. Most describe Caron Farnesiana as having an almondy aroma. The Rocaille adventure began in the Thirties, a period of rich creativity and absolute innovation. CARON created its most timeless feminine fragrance with Fleurs de Rocaille and its unforgettable aldehydes. Rocaille became an emblematic word, belonging to CARON, it resounds with the CARON’s success amongst women. When the new Fleur de Rocaille came into being in 1993, it was a case of working the same charm on a different woman: she who has lived through the 1980’s. That’s how an extremely modern perfume was born, but one still under the majestic influence of the “Rocaille” personality. Once again, a success named Rocaille. Infini is a green floral aldehyde on a woody base. Infini was created in 1970 by Gerard Lefort for Caron as a blend of tuberose, daffodil, sandalwood, vetiver and lily of the valley. It is classified as a floral aldehyde. Caron L'Anarchriste was created in 2000 by perfumer Richard Fraysse. This is a must try for men! It is an unusually unique and special scent for the boys, who sometimes feel as if everything created for men smells the same. L'Anarchiste is many things at once; it begins with some tangy citrus, has a warm, nutty, woody heart and overall is a joy to smell. Notes include: top notes are african orange flower and mint; middle notes are vetyver, sandalwood, guaiac wood and virginia cedar; base note is musk. Caron Montaigne is a gorgeous scent that features notes of mandarin, bitter orange, cassis, jasmine, narcissus, mimosa, spices and vanilla. Narcisse Noir, or black narcissus, was created in 1911 by Ernest Daltroff and it kicked off a new era in art and fashion, that would come to known as the art deco period. It is an orange blossom fragrance with a dark, brooding and sultry nature. Notes: orange blossom, lemon, bergamot, and petit grain; rose, jasmine, and jonquil; Persian black narcissus, musk, civet, and sandalwood. In 1922, after the trauma of the first World War, Europe is seized by a frenzy of celebration and exotic escapism. As a testament to the crazy years, Caron launched Nuit de Noel. Nuit de Noel, whose name alone is evocative of a magical, fairytale evening is a pure design theatrically inspired by the roaring twenties. Caron launched Parfum Sacré in 1990. It is a wonderfully warm woody oriental that stays close to the skin. The first impression is a rush of peppery warmth. However, for all its spicy notes, this is not a spicy fragrance, but warm and enveloping. Parfum Sacré dries down to a smooth balsamic myrrh, with a warm amber and smoky vanilla touched by subtle musk. Parfum Sacre is a complex and sultry fragrance; it’s a Posh Peasant favorite. Notes: vanilla, myrrh, civet, cedarwood, lemon, pepper, mace, cardamom, orange blossom, rose, jasmine, rosewood. Very rare and elusive, this is the Extrait (pure parfum) concentration of Caron Parfum Sacre. The parfum extrait is richer and softer in character than the eau de parfum and is a must for any Caron fragrance lover. The house of Caron launched a new version of their 1990 fragrance, Parfum Sacré, called Parfum Sacré Intense. Cinnamon, Jasmine, Orange, Clove, Rose Mimosa, Myrrh, Vanilla and Musk. Parfum Sacre Intense is an eau de parfum / edp with excellent longevity. Caron Poivre contains notes of red pepper, black pepper, giroflore, carnation, ylang ylang, opoponax, sandalwood, vetiver, oakmoss. Poivre is spicy, deep and rich. Placing those long ivory and mother-of-pearl cigarette-holders to their lips and swathing their femininity in a typically masculine veil, became the height of Parisian elegance. To mark the dawn of female liberation, in 1919 CARON dared to dedicate the deliberately provocative Tabac Blond to these beautiful free spirits. Tabac Blond is the embodiment of chic, intelligence and wit. Created in 1919, it was meant to bring the American acceptance of women smoking in public to the French. Tabac Blond does not smell of cigarette smoke. It smells more like the perfect black dress with a fierce hair style and sublime red lipstick. Notes for Tabac Blond are leather, carnation, linden, iris, vetiver, ylang ylang, lime tree leaf, cedar, patchouli, vanilla, amber and musk. This is the pure parfum concetration. The best of all. Caron’s Violette Precieuse is a beautifully crafted green violet floral with a slightly dark dry down. This violet is not complete girly innocence, there’s a slightly mischievous nature at the core. Yatagan was created in 1976 and categorized by Caron as an oriental chypre fragrance. Yatagan is a powerful scent. Yatagan is a refreshing and bracing mix of aromatics, herbaceous/green notes, woods, moss and leather. Notes: petitgrain, lavender leaf, geranium leaf, pine, fennel, basil, artemisia, oak moss, musk, woods, patchouli, castoreum, labdanum and styrax. Aria di Capri is a beautiful fragrance that is meant to evoke the scents of the Isle of Capri. Notes include: mimosa, iris, jasmine, peach, and bay leaf. Aria di Capri is an edt / eau de toilette with good longevity for a breezy summer scent. Carthusia IO Capri was created to evoke the Mediterranean, and this, it does. The fragrance centers around a minty, fresh, green fig and tea notes which always please. Do not fear the mint, it is balanced by the fruity fig yet the overall scent manages to be breezy, summer beautiful. Baiser Vole roughly translates to 'Stolen Kiss' in English. Mathilde Laurent is the nose behind this lovely and elegant new fragrance from the house of Cartier. Baiser Vole is a study in contrasts; it is both fresh and powdery, sheer yet present. Perfumer Laurent wanted to created a powdery floral for a generation who is afraid of powdery florals; who consider these scents to be "old fashioned." Baiser Vole is said to be about the lily, in all it's facets, the petals, the leaves and the pistil.